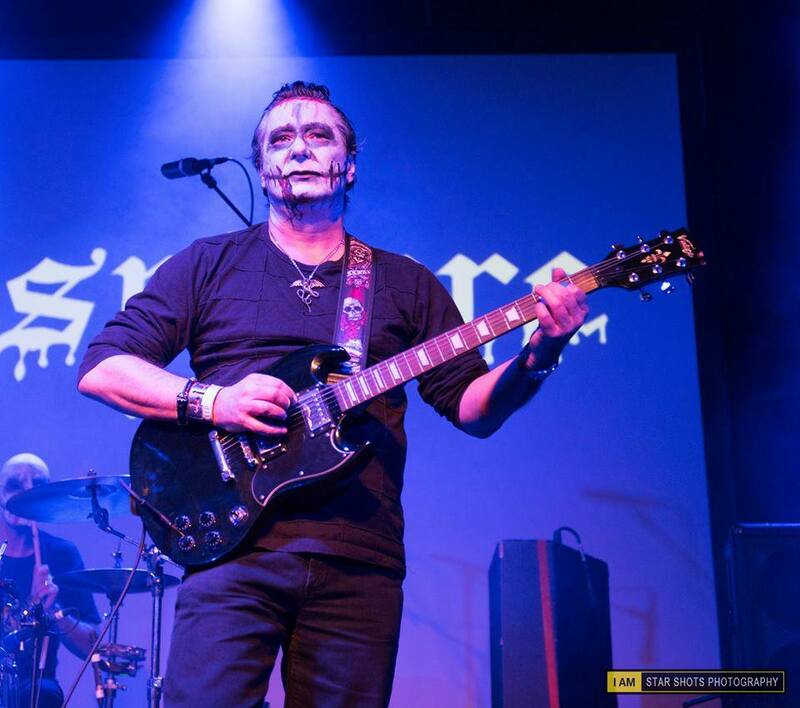 Getintothis‘ Nedim Hassan unearths the story behind the rediscovery of one of the most cult acts to emerge from the New Wave of British Heavy Metal, Liverpool’s Robespierre. It’s 1983. The New Wave of British Heavy Metal (NWOBHM) is redefining the rock landscape. Iron Maiden, Motörhead, Judas Priest, Saxon, Def Leppard, Diamond Head and a host of others are challenging the hard rock establishment. Liberated by punk’s DIY ethos and stripped down rock ‘n’ roll sound, these bands are not afraid to play louder, faster and heavier than their predecessors. Indeed, they are not afraid of the label ‘heavy metal’. Having formed a band with drummer Gordon Logan, guitarist and vocalist Cooke was firmly entrenched within this Liverpool rock scene by 1983. Gigging with members of a local AOR band, both Gordon and David yearned for something altogether heavier. Unbeknownst to their main band, the duo started a side project that would belatedly go on to have a storied history within the international metal community. 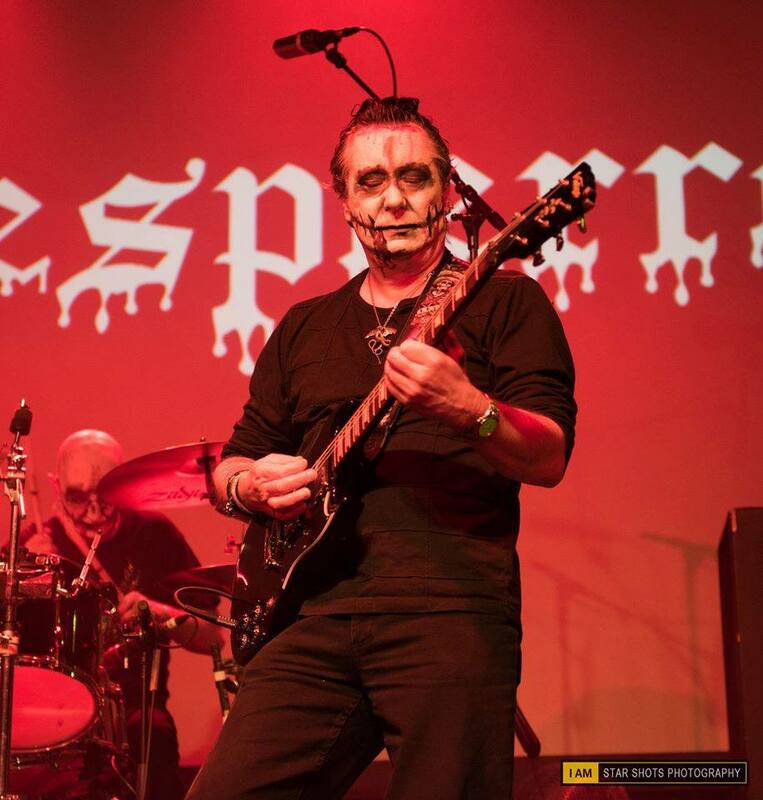 Fuelled by Gordon’s 70s punk performances in bands like S-Hawk (an abbreviation of Shitehawk) and David’s love of rock guitar, the birth of Robespierre took place when the two rehearsed together away from other band members. ‘Other people in the band never knew we were cheating on them’ David smirks. Out of those recording sessions, David and Gordon duplicated three cassette tapes featuring songs that would become the nucleus of the album Die You Heathen, Die. It featured riotous and raw slabs of proto battle metal with tracks such as Backs to the Wall combined with altogether doomier affairs such as the glorious title track. With Robespierre consigned to the dustbin of history, David and Gordon carried on with different day jobs, pursued other music projects and got on with their lives. Then, one day in 2010, December 20 to be precise, David was doing a spot of Googling. He came across something that prompted him to call his old friend. As Gordon recounts: ‘For some reason Dave must have Googled the name and then found all these downloads on the Internet […] and he gets in touch with me and [says]“It’s gone viral on the Internet”’ Copies of their original demo cassettes were being distributed as MP3s online amongst avid NWOBHM aficionados from across the globe. After revealing his true identity as one half of Robespierre to a more polite online enquirer, the impact on David and Gordon’s careers in metal was almost instantaneous. Once the word was out, by Christmas Eve they had two record contract offers on the table to release Die You Heathen, Die! as a full album. A vinyl release in the US and Japan through Buried by Time and Dust Records in 2011 was quickly followed by a deal to license the album on CD in Europe through Skol Records in the same year. On the back of this cult status and belated success, there was clamour for new material from the band. Encouraged by fans on social media, David and Gordon set about writing music for what would be their ‘official’ debut album. As readers of this column will be aware, The Garden of Hell was released earlier this year and we at Getintothis paid tribute to its authentic 80s sound. While the same mystery that surrounded them for three decades may no longer be there, these Liverpool metal pioneers deserve to be heard by more than just a few tape traders and NWOBHM aficionados. The Kvlt status may be slipping, but with the impact Garden of Hell has generated and new material on the way it seems that Robespierre’s Reign of Terror has barely begun. Just as we’ve basked in the warmth of the recent heatwave and England’s World Cup heroics put a smile on our faces, we’ve also come across some of the most exciting metal releases of the summer. To complement the subject matter of this month’s column, there’s a decidedly retro feel to some of the albums we’ve selected. But rest assured, these records are far from re-treading old ground. First up is Alms’ debut album, which is our record of the year so far. An exhilarating fusion of classic 70s rock, suffused throughout with theatrical organs, catchy guitar hooks and exquisite dual vocals from Bob Sweeney and Jess Kamen, this one has demanded repeated listening from the outset. From the moment opener Dead Water’s slow building organ riff is joined by a dual guitar attack, this record cannot fail. There are doomier moments, especially on The Toll, but doom metal has never sounded this groovy. Deuces Low is perhaps the album’s crowning moment, mixing a bit of Iron Butterfly inspired keyboard playing with an anthem-based chorus featuring vocal harmonies the White Stripes would be proud of. Quite simply a stunning debut. An ancient incantation repeated over and over again, each time with more urgency. A minstrel in the Arthurian court playing a simple tune on a lute. The introduction to Dragon’s Breath, the opening track on Iron Void’s Excalibur sets the scene for what is to follow – tales of Arthurian legend, of Camelot, Merlin and Morgana. Such material can easily sound clichéd, but it is in the execution of these concepts that Iron Void excel. Crisp production highlights the immense talents of this Wakefield based trio on their latest offering. Standout tracks such as Lancelot of the Lake and The Death of Arthur combine the soulful delivery of old school doom, with the drama and triumphalism of power metal. Led by Trevor William Church of Beastmaker fame, Haunt’s debut album is a love letter to classic heavy metal. Filled to the brim with soaring stratospheric riffs and joyous 80s inspired guitar shredding, the record builds on the momentum gained from last year’s Luminous Eyes EP. Unleashing incisive guitar hooks that border on the more technical end of thrash metal on tracks such as Crystal Ball and Wanderlust gives this album a darker feel in places. Yet it remains firmly within sonic territory occupied by mid-80s Judas Priest and even the gloriously over-driven guitar sound of White Lion and Dokken on belters such as Reflectors and Can’t get Back. All this excitement has made us quite dizzy and yearning to be back in the 80s so we’re off to lie down on our sofas and dig out classic episodes of The Sooty Show. Nicko McBrain’s drum battle with Sooty and Sweep was where it all started for some of us. Avoid being branded as heathens; keep supporting your scene. After all, Robespierre know where you live.